Want to cuddle with Jazz? 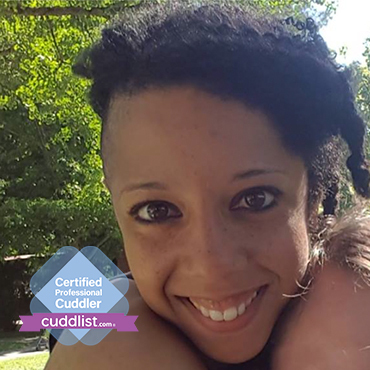 Professional Cuddler since 2016, lifelong cuddle enthusiast! Cuddling is a radical act of self-love. When we choose to nurture our bodies and feed our hearts through intentional touch, we challenge the notion that our bodies are bad or that our desires aren’t valid. I offer warm intimate touch in a safe container of consent & body-positivity. All are created equal in the snuggle-verse and I happily welcome all genders, identities, orientations and cultural backgrounds. 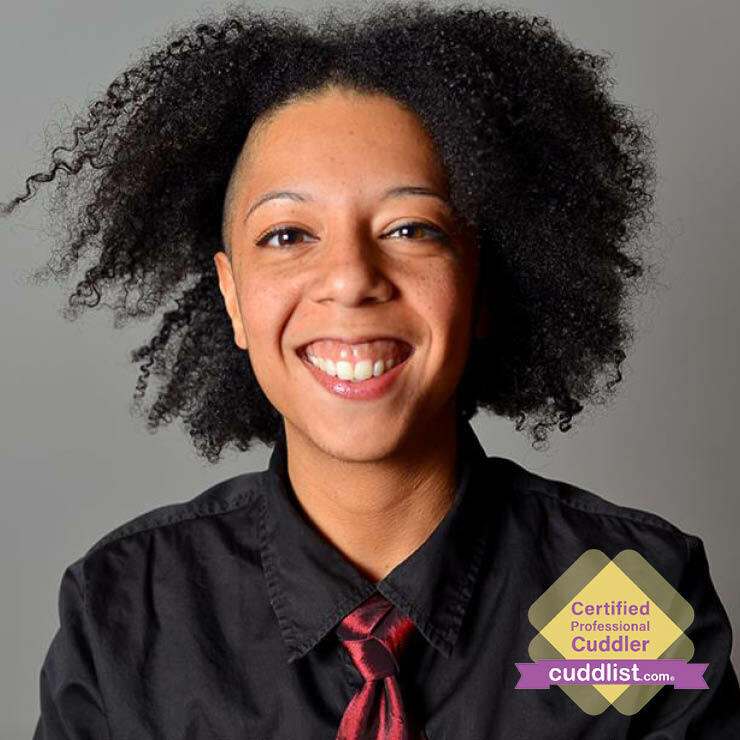 As a queer person of color, my specialty is holding cuddle space for those who are also LGBTQ & POC. Whoever you are, let’s get snuggly! <3 I’m an artist & musician (musical theater, classic rock & disney are among my favorites) and a yoga practitioner. If you are looking for a safe space to let it all go and just BE, to feel free in your body, and to experience loving touch and connection let’s talk! 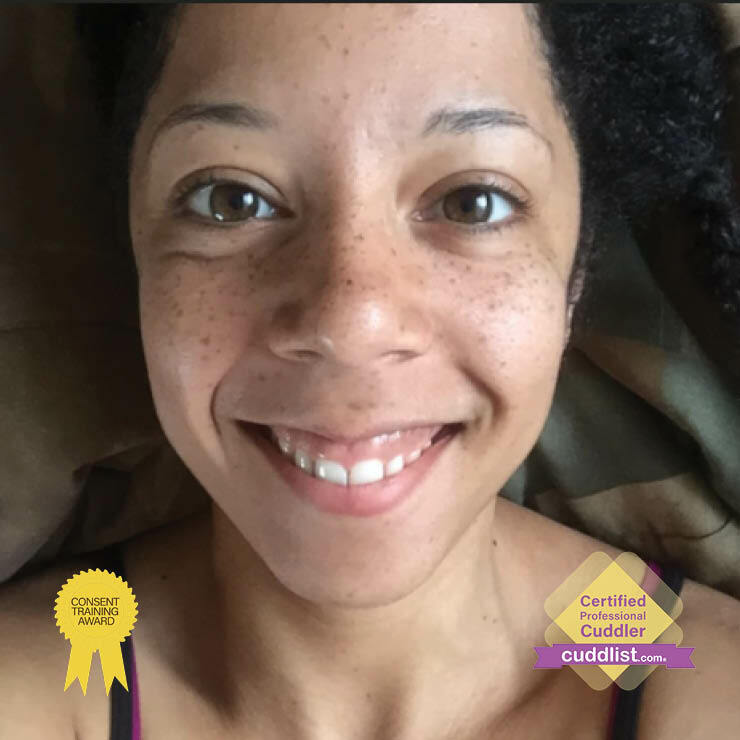 Cuddle enthusiast since my first Cuddle Party back in 2006! My goal is for you to leave a cuddle session feeling the warm glow of focused attention and gentle care. Most of us only know physical intimacy within the context of a romantic-intimate relationship. With platonic cuddling, we create a unique opportunity to practice both making boundaries & to experience the power of asking for what you want. I bring my experience as a relationship and intimacy advisor into our sessions to establish strong boundaries and foster clear, honest, open communication. Everyone deserves to feel cared for and to experience an intentional physical connection that is completely on your own terms. Let’s explore the power of healing touch together! An email, a waiver, and a screening call! I screen all my clients in a brief phone call/skype or in-person chat 15 minutes max! It’s our chance to go over questions, determine mutual compatibility, and to schedule a session. I recommend a minimum of 90 minutes for a session, particularly the first one. Much like a good yoga or fitness class, when you get the time to fully unwind & drop into the experience, it’s often more rewarding. After we’ve booked a session, I’ll send an email confirmation with the exact location of my studio. I usually reply to inquiries within 24 hours (unless I’m traveling). One-time, non-refundable deposit required for first-time bookings. Balance due at start of all sessions ( I accept Paypal & Cash). Hang up your coat, kick off your shoes and get ready to relax! I’ll have soft, instrumental music playing while you change into your cuddly clothes. Then we’ll briefly review the waiver and establish the basics of mutual consent. From there what our session like can vary quite a bit. Anything from quiet cuddles, to chatting about your day, to snuggling while we watch Netflix. Bring your creativity and ideas and let’s go from there! I do in-calls & out-calls, with an additional travel fee for outcalls (limited to Seattle proper). All of my sessions are a safe space for the full spectrum of emotions, from tears to giggles that just won’t quit. Each session will be a unique co-creation between the two of us! I look forward to cuddles times with YOU!